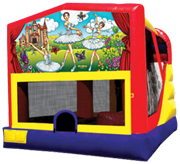 We offer a great selection Water Combo rentals that combine your favorite Bounce House Rentals with water fun! 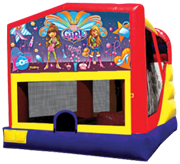 Look at all the Bounce Houses below with extra features like climbing walls, water slides, obstacles, basketball hoops and large jump house areas. 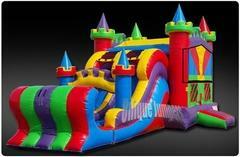 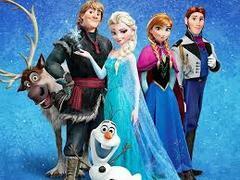 We are a full service party rentals company. 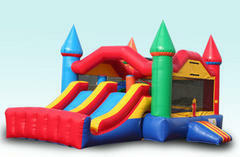 We will deliver, set up, and pick up each water combo rental for a smooth experience! 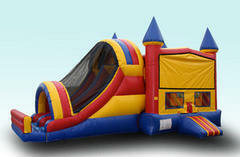 A full day is considered 6-8 hours, with our latest scheduled pick up at 7pm. 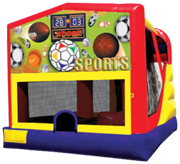 We deliver 1-5 hours prior to your event start time and pick up 1-5 hours after your event end time. 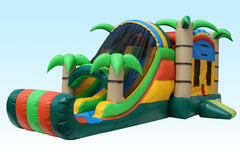 Our days scheulde dictate when we pick up your Water slide rental. 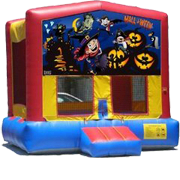 We will call you the day before, between 5:30-8:30pm to confirm your order, and give you a delivery window for your Combo Bounce house rental. 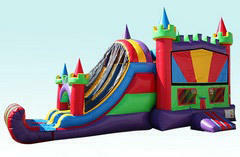 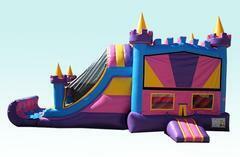 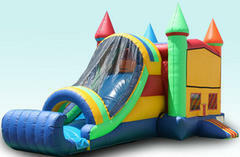 Big Lou's Bouncies prides ouselves in excellent customer service for each of our party rental clients. 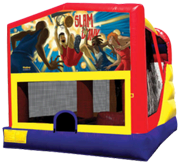 We strive to make sure each inflatable event is a memorable one! 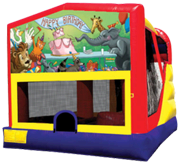 We keep a huge range of combo bounce houses, so you have lots to choose from, and each water combo unit is cleaned after each event to ensure optimal health and safety. 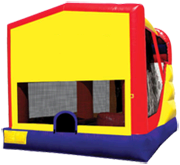 We also carry the proper Insurance, so you can enjoy the experience. 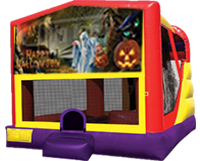 All of our team members are fully trained, so set-up and take-down of each bounce house rental is fast, efficient and safe! 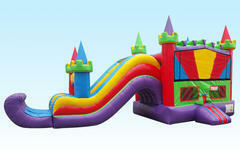 We have been proudly serving Hillsborough County since 2006! 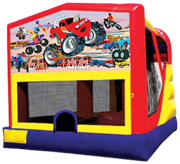 Reserev online or Give us a call today! 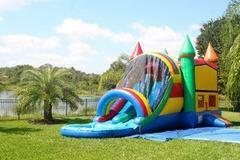 Located in Brandon, Florida but we deliver to many surrounding locations including: Tampa, Mango, Valrico, Dover, Lithia, Plant City, Apollo City, Riverview, Seffner, Temple Terrace and many more! 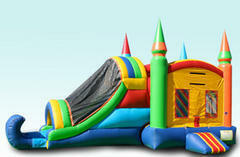 Travel fees may apply to certain areas, depending on distance from our warehouse. 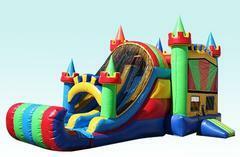 Give us a call at 813-404-6744 or get an instant quote online to get your water combo rental started today!